← 5 Days to Have Your Say: You want vending machines and microwaves within the library. 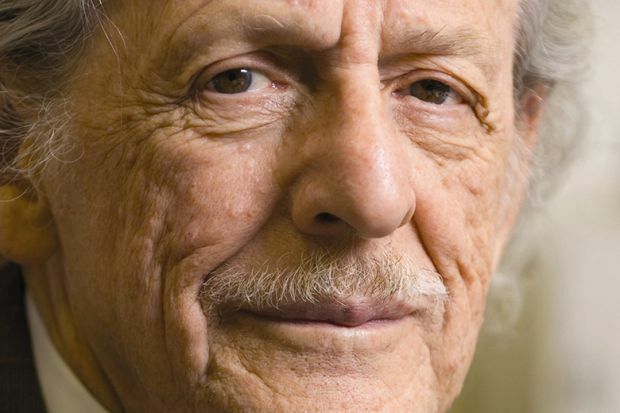 Eugene Garfield founded the Institute for Scientific Information (ISI) in 1955 along with the Science Citation Index, which evolved into the database Web of Science. Through his work with ISI, he founded citation analysis, developing the journal impact factor. This data is accessible from such platforms as Journal Citation Reports, which is extracted from Web of Science content. He passed away on February 26 at the age of 91. Garfield, E., & Pudovkin, A. (2015). Journal Impact Factor Strongly Correlates with the Citedness of the Median Journal Paper. COLLNET Journal Of Scientometrics & Information Management, 9(1), 5. doi:10.1080/09737766.2015.1027099. Garfield, E. (2012). A Century of Citation Indexing. COLLNET Journal of Scientometrics & Information Management, 6(1), 1. doi:10.1080/09737766.2012.10700919. Garfield, E., Cronin, B., & Atkins, H. B. (2000). The web of knowledge: A festschrift in honor of Eugene Garfield. Medford, N.J.: Information Today. Garfield, E. (1977). Essays of an information scientist. Philadelphia: ISI Press. This entry was posted in For Faculty, For Graduate Students, For Students, Publications and Research and tagged citation analysis, eugene_garfield, impact factor, journal citation reports, scientometrics, web of science. Bookmark the permalink.